Sixty days, 16 countries, 4 cruises, 4 flights and many days driving rental cars in unfamiliar territory. No, this is not a premise for the next big reality show on TV. Instead it is the schedule for our next big trip, details of which can be found at http://andrewsfabuloustravelguide.blogspot.com/. This time, not only has my blog been picked up by the Canadatravels website, but it also has the word “fabulous’ inserted into the title. “Fabulous” seemed like a fun idea at the time, but with the trip just two days away, it suddenly seems like a lot to live up to. I needed help, and where better to look for advice on being fabulous than re runs of AbFab. 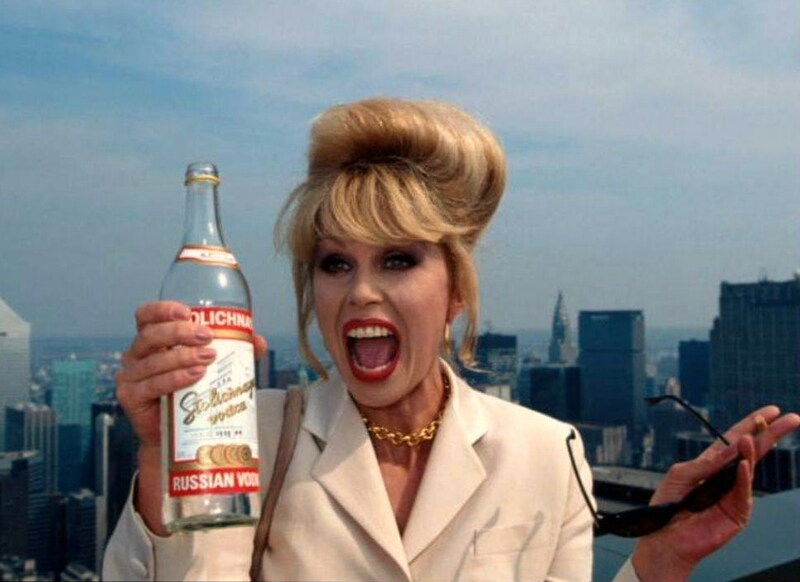 I was sure Patsy would have some pearls of wisdom that I could adopt and adapt. But all she offered was “you can never be too rich or to thin”, and I have got a long way to go before I achieve either of those ideals. Failing that, I thought that I could certainly try and dress fabulously for my many appearances. But whoever said “Clothes maketh the man” clearly didn’t live in the time of strict baggage allowances now imposed by all airlines. Six of the next 9 weeks are going to be spent on cruise ships. Cruise ships demand a certain dress code, and two of the ships demand formal wear on some nights, and jackets and ties on others. And the Queen Mary on which I return to the States, demands a jacket every night. This means multiple suitcases full of different clothes for every occasion. But in between cruises I will be flying on Alitalia. Alitalia, I have discovered has one of the strictest baggage allowances of all airlines. They allow just one checked bag of 20 kilos. Every kilo in access of that is charged at 20 euros per kilo. This makes any attempt at looking fabulous in ever changing outfits an unobtainable dream, or at least a breathtakingly expensive one. Of course, I thought, the answer lies in carry on! I would purchase the largest carry on bag I could find, and stuff it full of fabulous outfits. But then I read Air Italia’s fine print which states that the maximum carry on they allow is 5 kgs. Everything else must be checked. Well, when you reach a certain age, 11 lbs. hardly covers two months worth of medications. How am I going to do this?. I returned my attention to past episodes of AbFab, hoping for something – anything that would help. And there it was. The answer to my prayers. Patsy, looking incredibly chic, in a huge oversized coat with enormous cargo pockets. All I need to do, is find such a coat, with pockets large enough to carry several pairs of shoes, belts and ties, and my problem would be solved. So, with two days to go, and my fabulous dreams reduced to the contents of one suitcase, I have carefully selected a wardrobe of all black with some white highlights. Coco Channel was the first designer to recognize the importance of a little black dress that will go anywhere and always look fabulous. And while I readily admit to not looking good in a little dress of any color, the concept of a simple black wardrobe has won me over. And so it is, dear reader, that I set off on my trip with one small suitcase and an even smaller carry-on, determined to be fabulous for the next two months.